Marc Chagall was one of the 20th century’s great canvas masters. 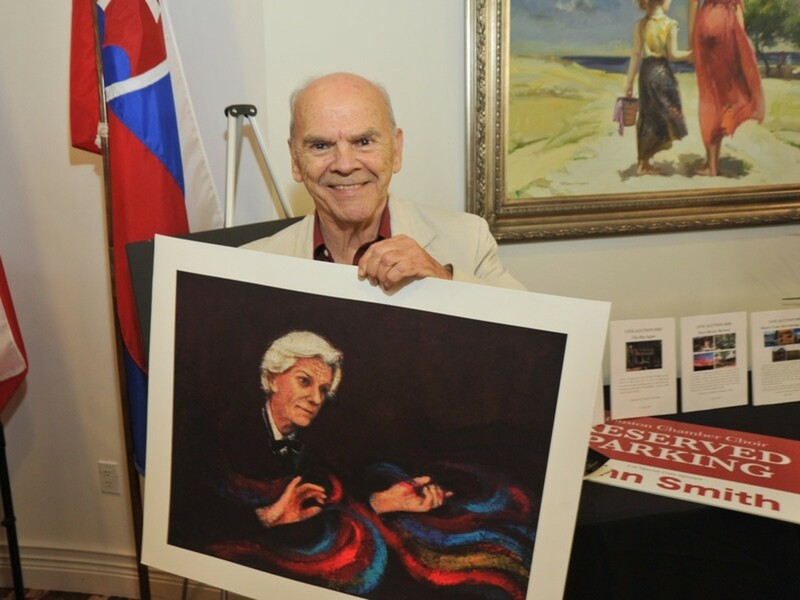 Born Moishe Shagal in Russia on July 7th of 1887, he was the oldest of nine children who were raised in the jewish tradition. He would later join the likes of Piccasso and Braque in Paris, France where his work was influenced by impressionism, fauvism, cubism, symbolism. This is where he adopted the name Marc Chagall. 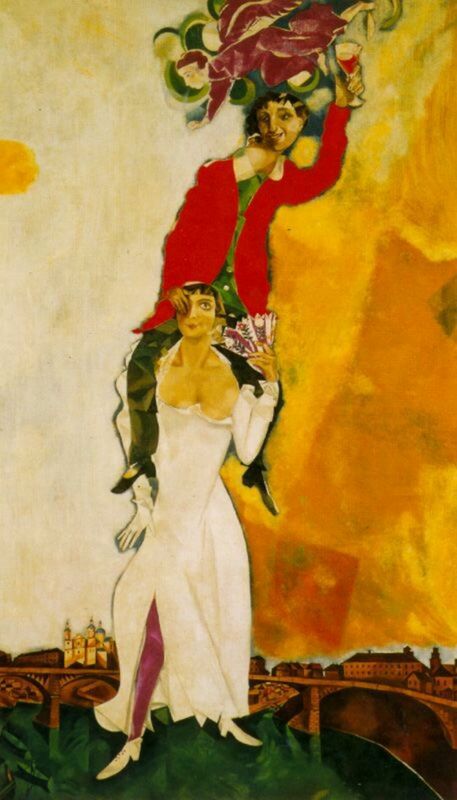 Chagall met his life partner in 1909. 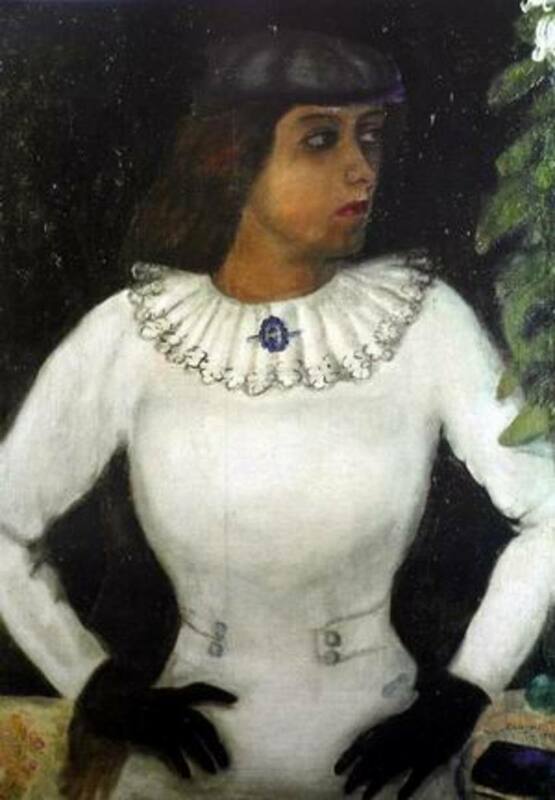 Shown here, Bella Rosenfeld Chagall is the subject of many whimsical works . They married in 1915 and enjoyed a romance that would endure all of their lives. 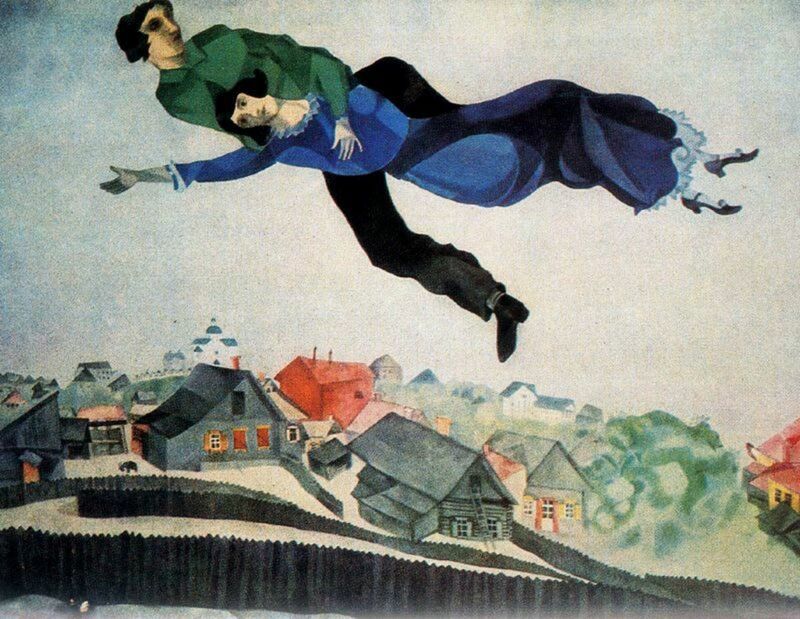 Many of Chagall's works depict lovers flying through the air. In this work, created just weeks before his marriage to Bella, Chagall conveys a feeling of great emotional exuberance as he floats above Bella and engages her in a kiss. 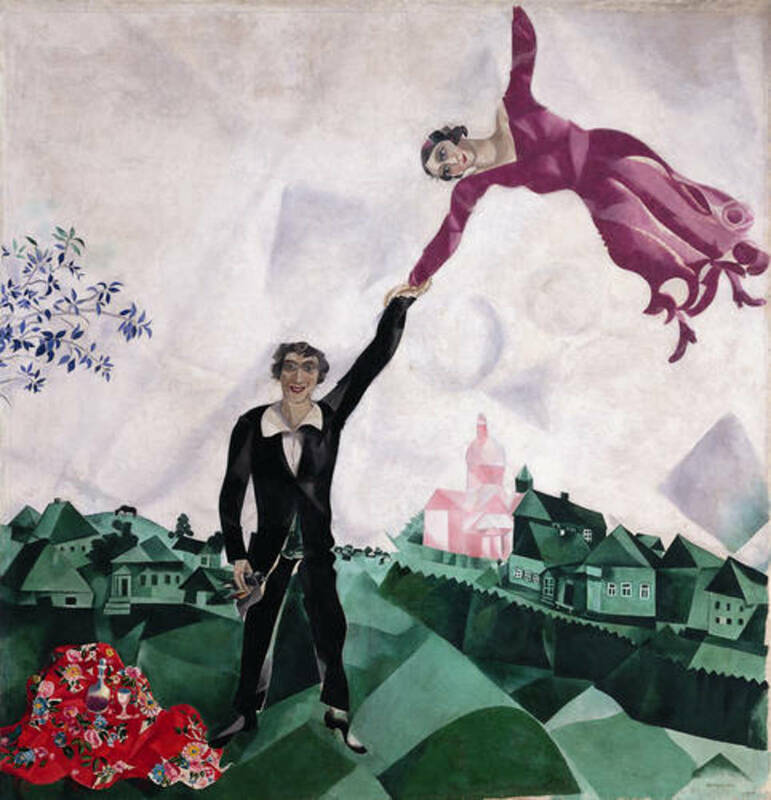 Here Bella and Chagall float over the town of Vitebsk. The smooth, almost faceted shapes form the unified couple. Below them is the recollection of the poverty- stricken Jewish district that Chagall called home as a youth. 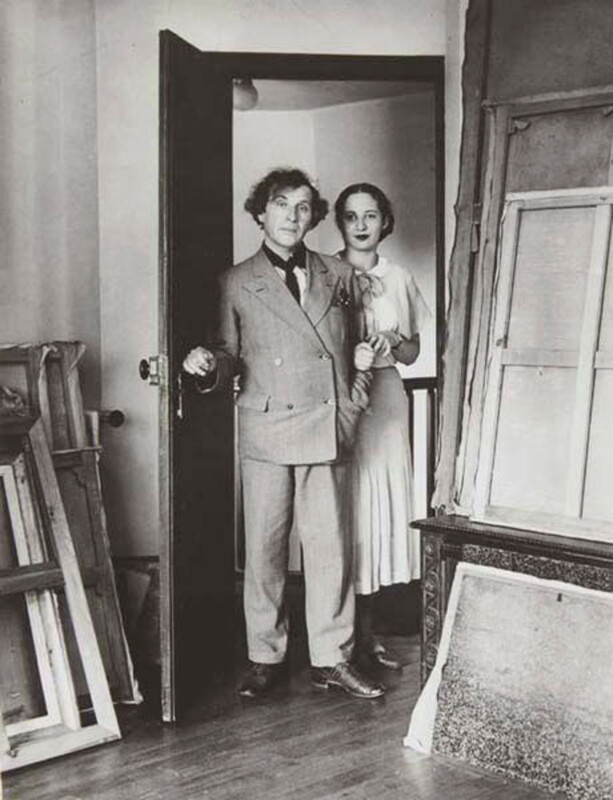 Chagall celebrated love and marriage throughout his years with Bella. Here they are in whimsical, acrobatic juxtaposition. She supports him with his wine glass, head slightly displaced, as he toyingly hides her eye possibly eluding to thier intoxication. This is the first of many renderings of the work titled "To My Wife." 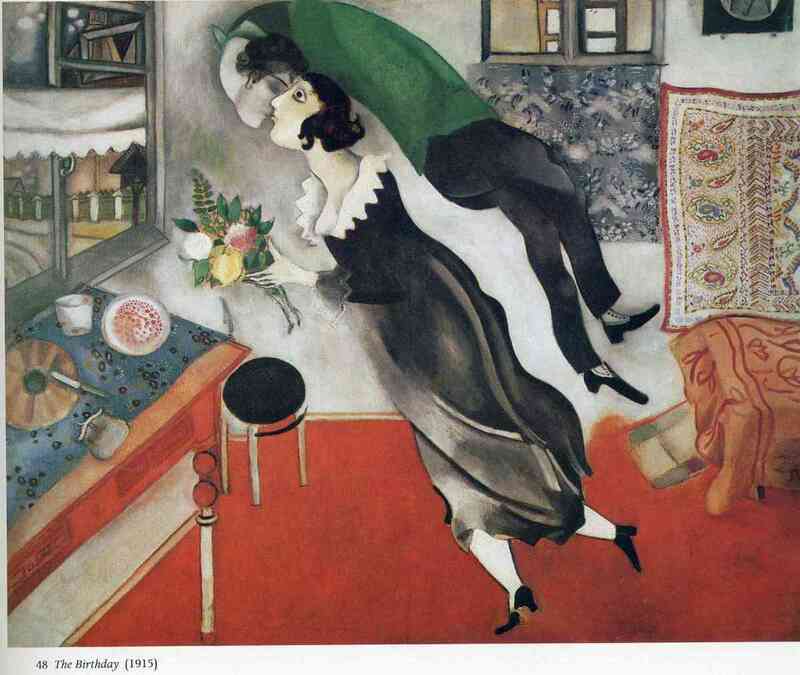 The painting pays homage to the many things that Chagall loved with great emphasis on his life with Bella. The couple enjoyed 29 years of marrige ending with her sudden death in September of 1944. Chagall brought forth numerous depictions of fantasy, passion, romance and whimsy. 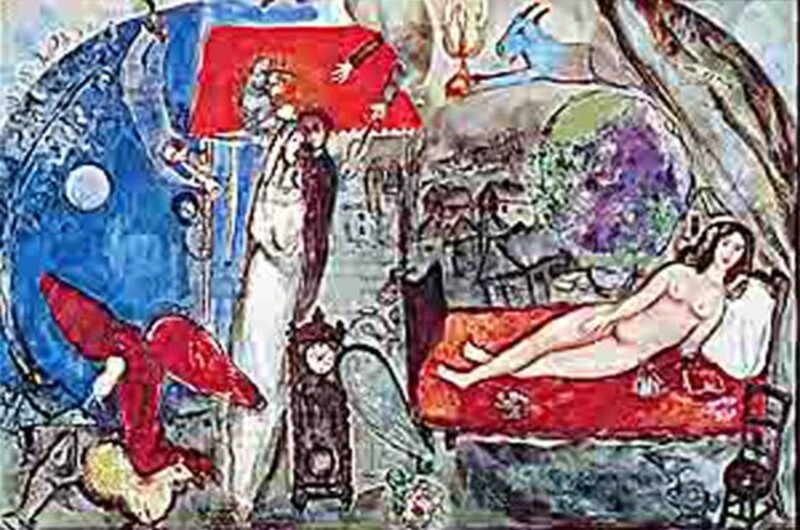 Though Chagall remarried in 1952 to Valentine Brodsky, his most celebrated works of romance are renditions of life with Bella. 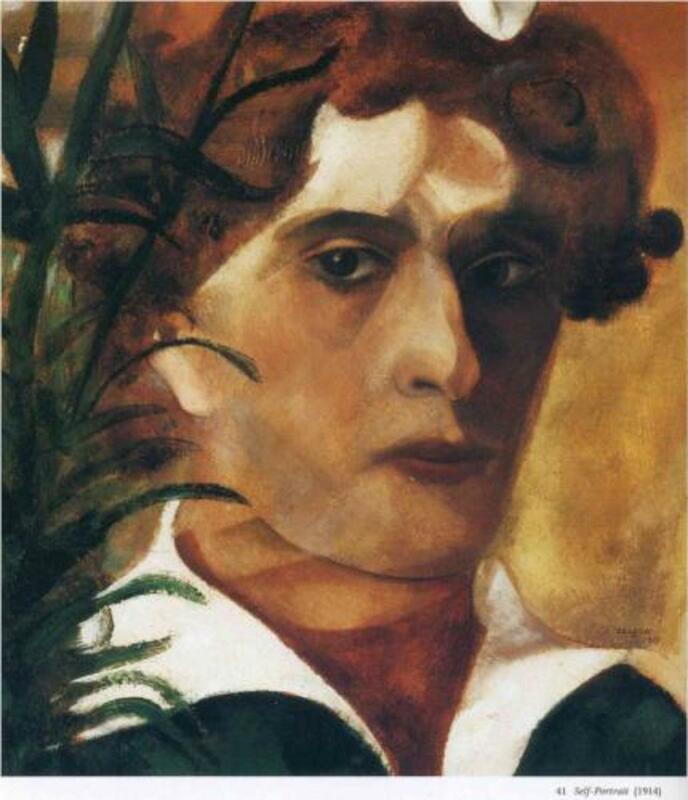 Marc Chagall died on March 29th, 1985 at the age of 97. Marc Chagall (1887 - 1985) - This great modern Russian artist's work is rich in the imagery of the folklore of his native Russia and Jewish life, and often takes on the appearance of a dream-like fantasy. Discusses Marc Chagall's personal biography and the life he led. Sweet! I did not know that. Thanks for sharing. Good article. Did you know that Marc Chagall also painted the label for the 1970 Chateau Mouton Rothschild wine bottles.